Can a successful business be imagined without a good web-promotion? Actually, it might have been if talk about a hundred years ago affair. Today it’s more than important to create a nice website to attract customers, investors and even just to gather more viewers of the project.What makes a lovely website? Good structure, the possibility to find the necessary information, useful features and options, wide showcase of the services or goods, team, detailed company information with identification on maps and highlighted on the page top or bottom, additional functionality depending on the necessity like calculator, price countdown, pricing tables etc. and of course, a nice gallery with high-qualitative images, beautiful Sliders on the homepage and other media included. This is surely not a full list of the necessities to create a website for business purposes, but the basic important things which should be considered. This is not a secret that a premade website template can make more than a half of job to make the above-mentioned things available. Nevertheless, it is very important to choose a proper theme which will fit the demands of your project sphere. Well, themes for commercial needs and corporate customers are the most popular ones and this category includes a huge number of templates. TemplateMonster also has got a really good collection for creative businesses, like WordPress template for software company. There are different premade website layouts for projects of many spheres of sales and service areas in this category. So, if you are searching for a theme suitable for investment, accounting, and banking, management and marketing, insurance, advertising, consulting, outsourcing etc. you may find a suitable solution right in the mentioned theme selection. This selection of the business themes powered by different CMS, including Joomla, WordPress, Bootstrap, Drupal, PrestaShop, OpenCart, Responsive, Muse, Magento, etc. All of them differ in terms of functionality and implementations included. Choosing a necessary platform, the purpose of the site should be considered – whether you want to create a company portfolio, a corporate blog, an online store, or just a personal commercial affair web page. 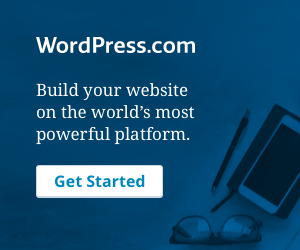 WordPress platform is a very large and highly popular content management system appreciated for its well-featured, responsive, and stylish multipurpose products. It’s worth mentioning that WordPress themes are user-friendly. They provide a clean code so don’t worry if your coding skills are not good. WordPress themes include many of the necessary extensions, plugins, and modules. The templates responsive design keep them perfect on any device adjusting them to any screen resolution. Powerful Cherry Framework is available so the themes are easy-to-install and go with useful Bootstrap options, smart shortcodes and widgets. Cross Browser is a very useful feature since no need to test how your site works in different browsers, it will be adjusted automatically. WordPress base sets out multiple theme options so the customization becomes easier! This is the basic list of WordPress advantages. How they work on business themes, you may just try and see. Below described are top 20 themes perfectly suitable for different business needs. TopInvest WordPress Theme is a stylish and clean template greatly suitable for any kind of investment or finance company, financial advisory, an accountancy, a consultancy, and an insurance agency as well as for other business projects. Uploading the theme you’ll get a range of special giveaways like Jet elements plugin, Booked appointment plugin, free images, and others to customize your site easily and arrange all the necessary implementations for your customers’ convenience. Here comes a responsive WordPress template for business purposes with fully loaded functionality: Elementor, useful Cherry plugins, Social login extension, valid and clean HTML code, Live Customizer, 4 blog layouts and many other advantages are available. There are eye-catching pages for all occasions to attract your customers’ attention. The theme is mostly suitable for business consulting companies but will also look great if used for other business affairs. FinVisor is one more stylish template for consulting companies. It has a clean, responsive, and stylish design and includes a range of useful extensions and implementations. Creating a website will be easy and pleasant due to Elementor Page Builder and Live Customizer setting up your content and making a well-balanced and clean showcase of your ideas. Moreover, the pack includes an accurate documentation and 24/7 lifetime professional support so it will be very easy for you to use the template. Adviseme WordPress Theme was developed for advisor business and will also suit other business purposes if you like due to its clean and responsive design. The pack will provide you with an almost ready-to-use premade website layout so all that you need to create a beautiful site is just to insert your data and upload your images. What is more, +5 amazing demos will be available for your convenience. If you are searching for a beautiful and modern premade template for your consultancy company website Argument WordPress theme will fit your need perfectly. This SEO-friendly template with clean and valid HTML code will provide you with a choice of header and footer layouts, gallery options, as well as highly necessary plugins and extensions. Just make a few clicks to upload your files and customize them with the help of Elementor and drag-and-drop functionality and enjoy your elegant and clean website! This theme is clean on the outside and very much functional and gorgeous inside due to Visual Composer page builder included the variety of additional pages, a wide range of static and dynamic elements, and other special giveaways. Conceptum template is suitable for any kind of corporate website. Its stunning design also impresses the visitors and can become a vital part of your company style. Either you are creating a portfolio, a large or small business, an agency, a corporate blog, or a personal website Tofito WordPress theme can become a really stylish and handy solution right for you. The template is Based on the WooCommerce engine and takes its advantages, goes with Visual Composer (so you don’t have to worry about the customization process), provides the Revolution Slider and Kaswara Addons. This means you’ll have an animated heading, custom gallery, modern images, price listing, modal video and text info, teammate, post grid, 3D Card Flip, animation, carousel option, countdown and a great many other useful implementations which will make your site amazingly serviceable and attractive. Dominer is a responsive WooCommerce theme arranging your content with the help of Visual Composer providing you a clean design due to well-balanced images and other objects location on the pages and the selection of beautiful and stylish fonts. Your website will even have a special and pretty page for any occasion. Dominer template is suitable for any business and services purposes. This is a good template to create a bitcoin multipage website. Everything that you need for this purpose is included in the pack: instant exchange, mobile applications, recurring buys, bitcoin calculator, wallet etc. – all the implementations are easy and secure. Moreover, web forms and useful features (calendar, commenting system, crossbrowser compatibility, dropdown menu, favicon, google map and web fonts, sample content, social options and many others) are available. Imperion template represents a great example of a premade website layout that can be used for all kinds of business. Also is a great example of WordPress theme for developer blog. This theme goes with a fully loaded WordPress functionality – content building plugins, advanced menus and beautiful sliders. Built with drag-and-drop Elementor the theme is easy-to-use indeed. The special demands to a website for accountancy purposes are considered by the developers of Investero WordPress theme. Accounting and bookkeeping, tax, compliance and payroll, growth and funding access and many other extensions needed for successful accumulation, risk management, audit, tax organization are included in the functionality of this template. This is a really eye-catching theme which will allow your website look professional and sophisticated being very easy-to-use at the same time. Trader template is multipurpose and can be chosen for business portfolio, financial organizations website, landing page, personal use, and other purposes you may need. Its advantages include 7+ Home Page, Mobile Friendly Layout, fully responsive design, Awesome King Composer Page Builder, logo, header and footer Customization, advanced menu and much more. This WordPress Theme is a nice solution for those who want to create a startup company website. The advanced gallery options and high-qualitative images as well as many useful implementations and buttons will make your site beautiful and convenient so you can get the trust of your customers. For example, you may use such features of the template as Commenting System, Dropdown Menu, Sample content, Social Options, Favicon, Google map and Google Web Fonts, Live Customizer, Sidebar Manager and many others. This theme is good for those who want to create a corporate portfolio, blog or any other web page with a very advanced functionality and make the website convenient for the visitors but do not want to spend much time or have no coding skills. Sliders and high-qualitative allowing to make a nice picture showcase, useful extensions like Our Service, Our features, Our team, pricing, testimonials make the site informative, contact form, portfolio and blog functionality, maps implemented also make it convenient and customer-oriented. Moreover, it is easy-to-use not only due to the high level of useful options making the template easily customizable but also thanks to the online documentation and video tutorial. SortProfit is a template for financial companies with a good set of pre-installed plugins. A well-featured dropdown menu, numerous buttons, extensions and forms allowing to share the company information will be convenient both for you and your customers. Header and footer layouts included can also make your site outlook more interesting. The special requires and demands to the template for creating a consulting company website are considered in TopConsult responsive WordPress Theme. A wide range of useful extensions and implementations is in the pack so you can easily share your data with the visitors and provide them with a complete information about your team, services, company achievements and so on. Also, you can easily upload your images and get a perfect showcase just in a few minutes. LawPress template is greatly suitable for a law firm or an attorney house but can also be used for any other appropriate purpose. It is well-featured, stylish and highly convenient for usage. Moreover, VisualComposer with drag-and-drop functionality will make all the included plugins and extensions clear and handy for you. Here you can find one more template for juridical purposes powered by 4.8x WordPress engine. Visual editor and Elementor Page Builder make the designing process really easy and pleasant. What is more, you get social and background options, media library, live customizer, calendar and many other useful things to make your site functional and informative. If you are searching for a handy template to create a fully-functional website for a law firm, Attorney Group WordPress Theme can be a good choice. Cherry Projects and Services plugins allow you to represent your activities in a beautiful way just inserting the necessary data. The advantage of the theme is also its clean code which requires no skills from you and helps you to create a serviceable and smart web-project. This stylish theme developed with Bootstrap 3 is easy for installation and usage as well. It allows to create a wide range of widget (the pack includes 6 widget areas) areas and assign any of them on post or page as a sidebar. Offshore template goes with Careers page and job applications, Google Maps with multiple locations, MailChimp Newsletter Subscription form and many other additional features you may need to get a perfect website for the industrial business project. If you still have any question or need for support welcome to TemplateMoster official website. A wide collection of themes for business and not only is waiting for you there.